With Samsung expected to launch the Samsung Galaxy Note 8 next month, more details about the phablet are coming out of the supply chain. It’s clear from the specifications as we currently understand them that Samsung is pushing the boat out in terms of hardware, but there’s a sting in the tail. That is larger than the 3000 mAh battery in the basic Samsung Galaxy S8, but it’s smaller than the battery in the Samsung Galaxy S8 Plus and last year’s Galaxy Note 7 which both shipped with 3500 mAh capacity. The Note 8’s smaller battery is mitigated by the presence of convenient charging options. 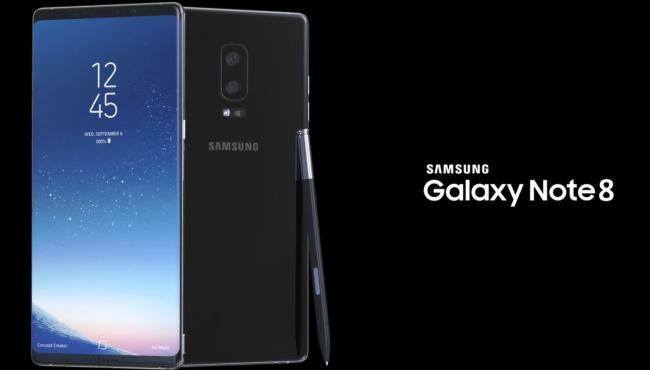 The Note 8 is expected to include wireless charging, allowing for the phablet to be topped up throughout the day when it is sitting at a fixed point with a wireless charging station. The more traditional cabled charging approach should benefit from the same rapid charging feature and adaptive fast charger carried by the Galaxy S8 family. That means topping up the handset requires less effort and time, but the new hardware could place a lot of demands on the smaller battery. Why would the battery capacity be reduced? The 6.3 inch screen is likely the biggest culprit. Thanks to Samsung’s design cues of smaller bezels the jigsaw of components under the screen does not have the previously expansive bezels to overflow into. Take the footprint of the device, remember that the modern world demands a thin design, and then carve out space for the S-Pen stylus to be held inside the chassis and you have a tight squeeze to maximise the available volume for the battery.